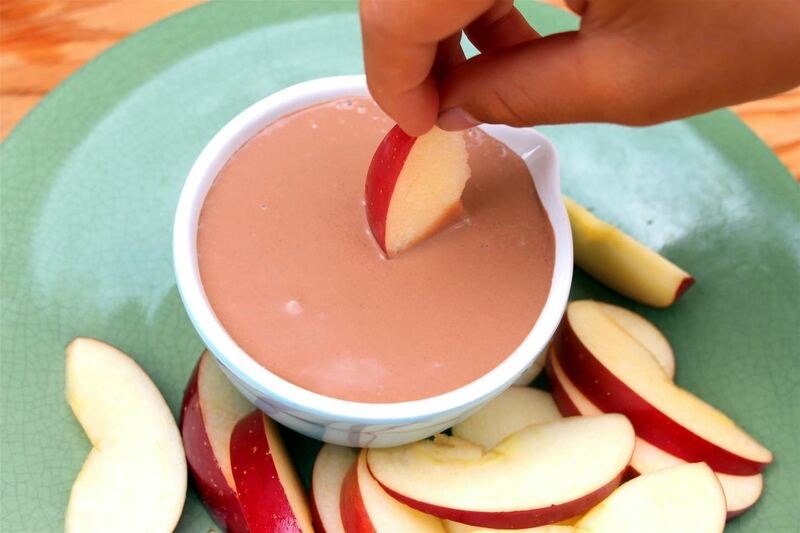 Apples are great snacks, and they're often paired with peanut butter or sliced cheese for a well-rounded energy boost of carbs, fat, and protein. The apples are an important part of the equation, as they are low-calorie and full of vitamins, nutrients, fiber, and lots of other good stuff. It's the other half that's always the problem, as eating too much peanut butter or cheese is an easy way to polish off a boatload of calories and fat in one sitting. 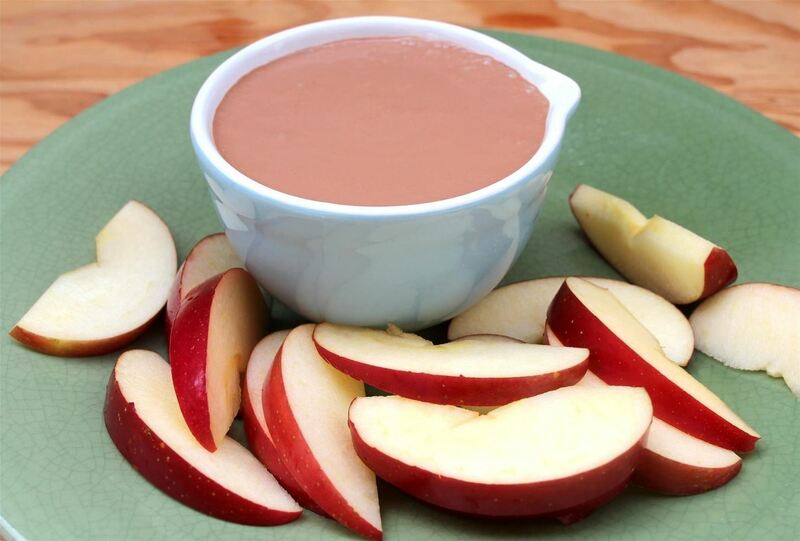 Enter this creamy three-ingredient fruit dip, which is easy to whip up and is almost guilt-free. Soften the chocolate chips in your microwave for about 30 seconds at 30% power. Stir and heat again if needed. 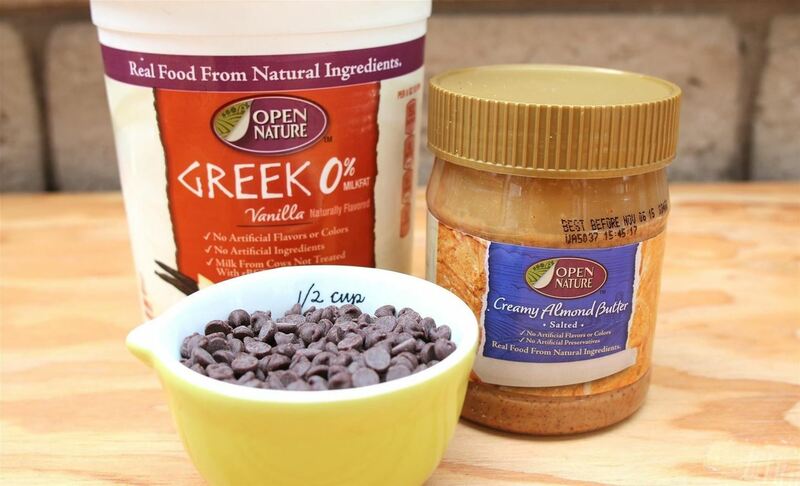 In a mixing bowl, mix the yogurt, almond butter, and semi-melted chocolate chips together. Mix well. Use a whisk if you want to beat it to a fluffier consistency. For a smoother dip, blend it in a blender for about 20 seconds at a high speed. 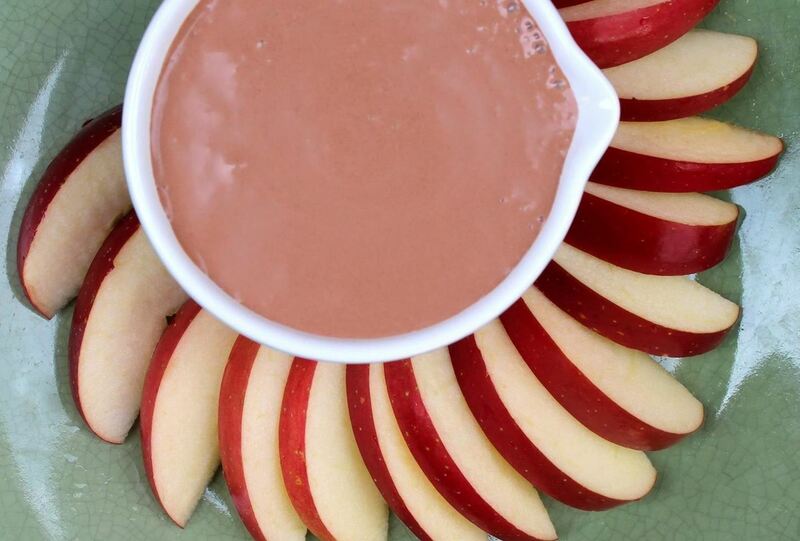 Serve with apples, nectarines, melons, pretzels, or anything else that dips well. You can modify this dip in any number of ways. You can add to the original or swap ingredients as you wish.